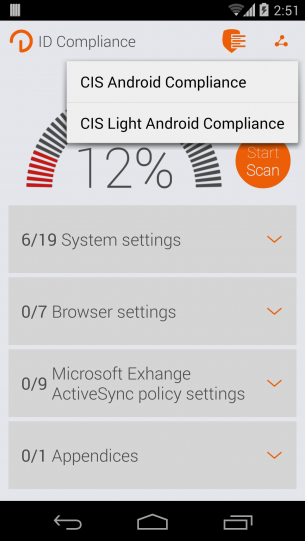 Identify security vulnerabilities, compliance and continuous monitoring of all compliance policies on your Android device with ID Network Compliance. 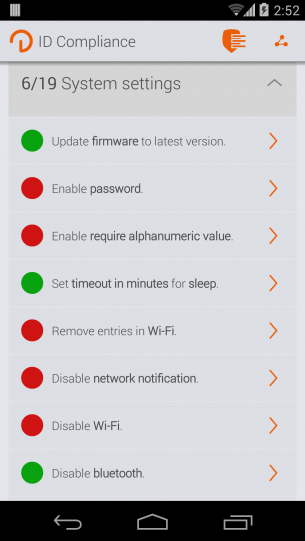 Identify security vulnerabilities on your Android device with ID Network Compliance. The app ensures compliance and continuous monitoring of all compliance policies. 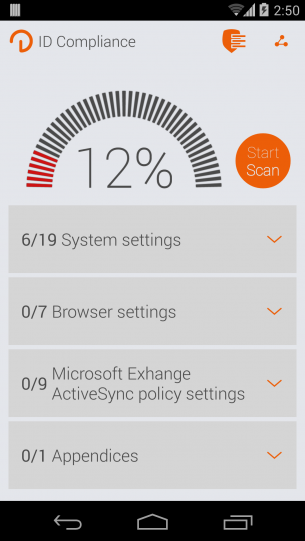 The app provides a comprehensive collection of data that is protected against end users. 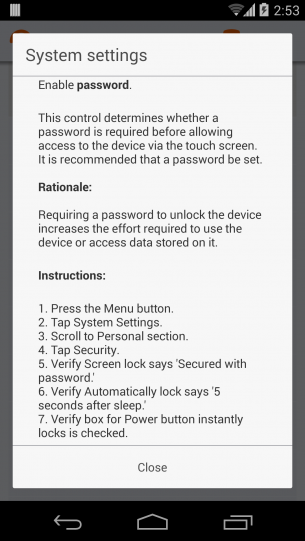 An important security tool for Android lovers.